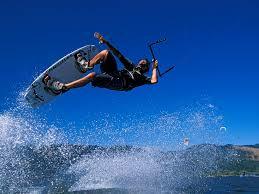 Kitesurfing uses the power of the wind to drive a rider across the water on a kiteboard(similar to a wakeboard). There are a number of different styles of kitesurfing including freeride, freestyle, wakestyle, course racing and wave-riding. Kite surfing has become one of the fastest growing water sports in Ireland, recently spotlighted by its entry into (and subsequent retraction from) the 2016 Olympic games. The kite surfing “season” usually begins in March and ends in November. However, you will see many kiters braving the Irish waters “off season” when the wind is blowing the right way! 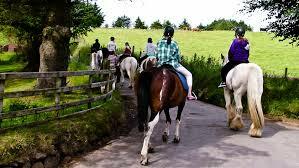 It is an amazing sport with a growing community of young and old riders alike, making it a sport for everyone. Lessons with a fully insured qualified instructor are essential before taking up kite surfing. Tel 087 6755567 for further details. Freedom Surf School was founded by Billy Butler a life long surfer for over 35 years, past member of the National Irish Surfing Team and having travelled to such far off destinations as Indonesia, Australia, France and the Canary Islands Billy has never stopped chasing the waves. Billy’s past experiences of running his own surf shop & managing the local surf club, pride in his local community & the environment has led to the creation of his own surf school. Based in the family cottage by the beach where Billy was born and grew up Freedom Surf School offers an authentic outdoor experience in Tramore. Safety, customer service, qualified staff and the promotion of physical activity for life are core values of Freedom Surf School. 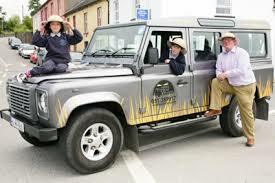 Experience the thrill of a real safari jeep expedition, cross the majestic River Suir by ferry and enjoy the craic with our friendly local guides. Discover the breathtaking beauty of the Hook Peninsula, access jaw-dropping viewing points, visit hidden beaches and coves, venture off the beaten track hear the true stories that make this place unique. Explore cliff walks, magnificent coastlines, the Hook lighthouse and historical abbeys and castles plus a once in a lifetime chance to see the whales off Hook Head. Sheilbaggan Outdoor Education Centre is located at the top of the hook peninsula in the South West Wexford village of Ramsgrange. The centre is located 15km SW of New Ross and 30km West of Wexford town. 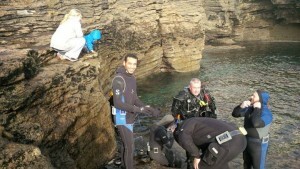 It is approximately 5km from the sea and 16km from the Hook Head Lighthouse. All our activities are available for families and can be adapted to suit your needs. Our staff look forward to providing a memorable and enjoyable day for all the family. 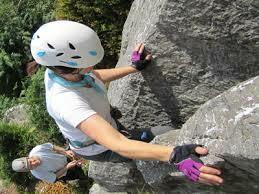 Activities include, Kayaking (White Water, Sea & Flat water), Canoeing (White water and Flat water), Coasteering & Surfing. Land Activities include Hillwalking, Rock-climbing, Abseiling, Orienteering, Team Challenges, Archery, Climbing Tower, High Ropes & Caving. More info at http://www.shielbagganoec.com. The Hook Sub Aqua Club was founded back in 1982 and since then the club has grown from strength to strength through the hard work and dedication of it’s members. Below is an account of how our club was formed by founding member Denny Lawlor. The Hook Sub Aqua club is idealy located in the hook peninsula with Slade Harbour just around the corner from the club house, which is ideal for launching our two boats at both low and high water. The club house is a testament to the work and dedication of members both past and present who helped in getting the Hook Sub Aqua Club to where we are today. Ever wanted to meet a whale or a dolphin? Hang out with a lobster? Wave at an octopus? Or swim with a seal? Well now is your chance! South East Charters boat is called the ‘Orinoco’, and is a 40’ Lochin, powered by a 425 horsepower Caterpillar engine. The vessel, which is capable of cruising at 15 knots, fishes the very productive waters off the Hook (Europe’s oldest lighthouse). They are based in Duncannon off Waterford harbour. 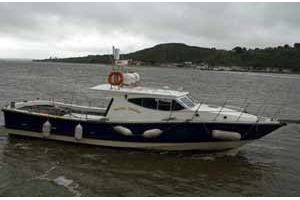 She will fish up to 12 anglers and is fully equipped with navigational and fish finding electronics. The modern electronics on their boat includes radar, plotter, global positioning system colour sounders, V.H.F.s, autopilot, T.V. and video D.G.P.s. Full safety equipment plus toilet and galley make your trip both safe and very enjoyable. Wreck fishing and general ground angling will produce excellent mixed catches of conger, ling, pollack, coalfish and cod, while the shark fishing will provide sport with fish up to 100lbs during the summer months. Rod hire is available. Divers, surveyors, photographers and naturalists or those simply looking for a relaxing cruise can also be accommodated. Abbey par 3, 18 hole golf course Competitions for men, women and. children. Club and trolley hire available, also golf accessories. Private lessons available from Brian Murphy, golf professional. Outdoor deck has excellent views over the greens. Bright and spacious indoor seating that is perfect for golf societies. The clubhouse is the ideal place for to enjoy a tea, coffee and snacks. 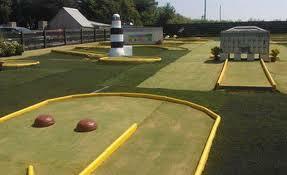 Also recently added is our 18 hole crazy golf course complete local landmarks. We have also recently opened our very popular footee golf course. There is something here for all the family. Why not come and enjoy a day out in the sunny southeast and experience wildlife from around the world at Secret valley Wildlife Park .We have everything from creepy crawlies to pony rides with plenty of hands on activities with our animals for you to enjoy. Our family run zoo with its relaxing atmosphere offers visitors a chance to get closer to nature. 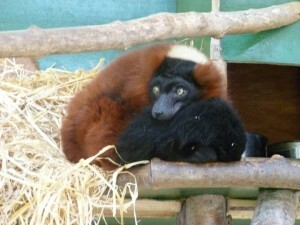 Join in our keeper talks, handling and feeding sessions which happen throughout the day. Or why not try one of our animal experiences where you can get a chance to be a keeper for a day or you can just meet the Meerkats! !If that is not enough for you, you can try our adventure hunts and arts and crafts. There are also indoor and outdoor play areas, obstacle course and Quad train to enjoy.So if you are looking for things to do in Wexford why not come and pay us a visit – you would be most welcome!